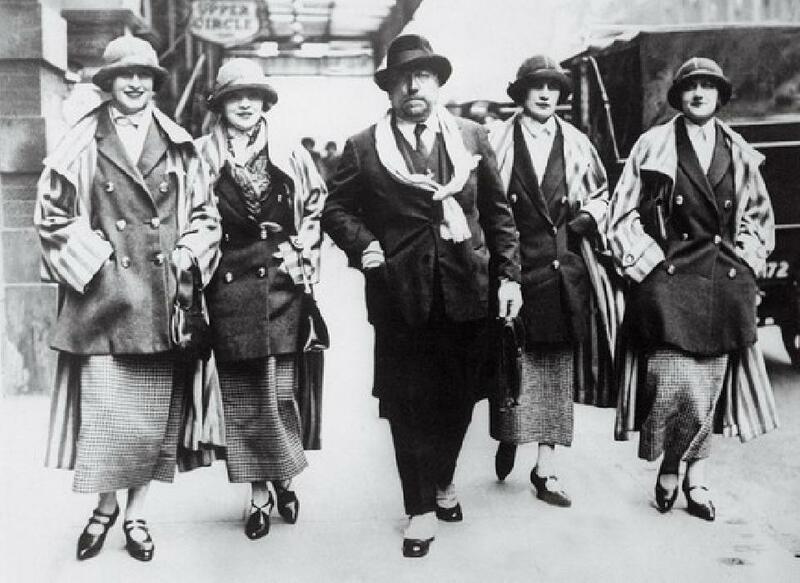 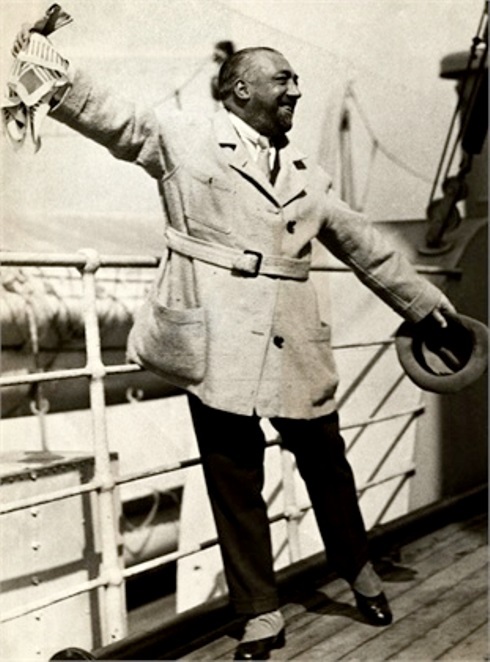 The story of Paul Poiret is one of a working class son, who used his natural charisma to gain entry into some of the most exclusive ateliers in Paris and eventually became one of the twentieth century’s great couturiers. 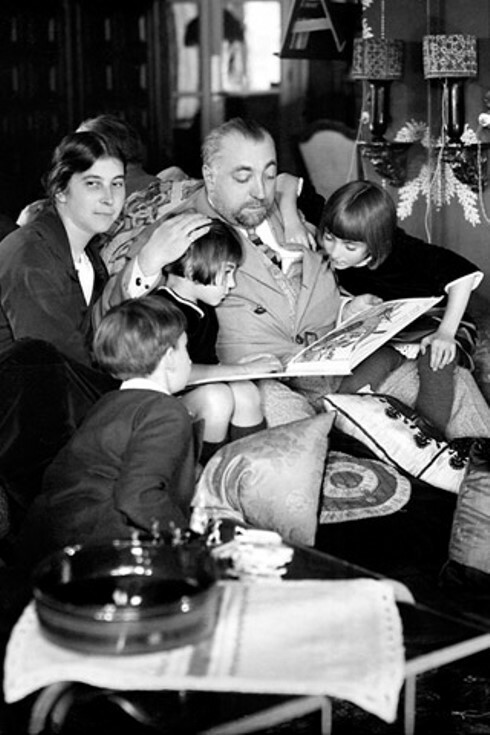 But it’s also a cautionary tale about a man who refused to adapt to changing times and styles after WWII due to his arrogance and finally ended penniless and bitter, his once-great label long forgotten. 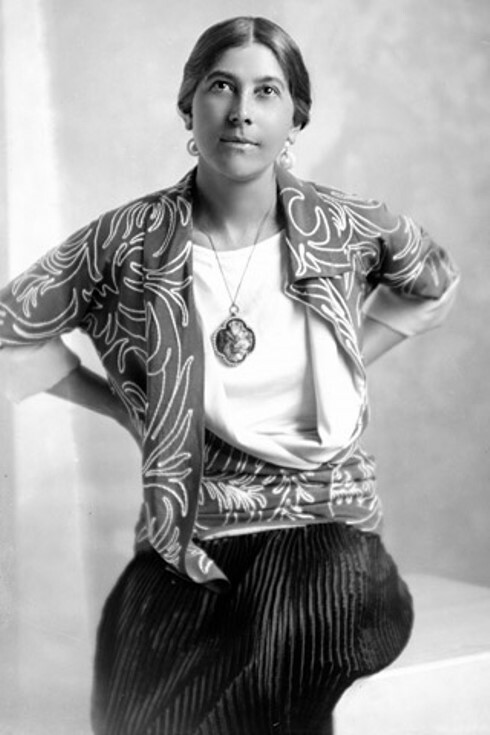 Still a teenager, Poiret takes his sketches to Madeleine Chéruit, a prominent dressmaker, who purchases a dozen from him. 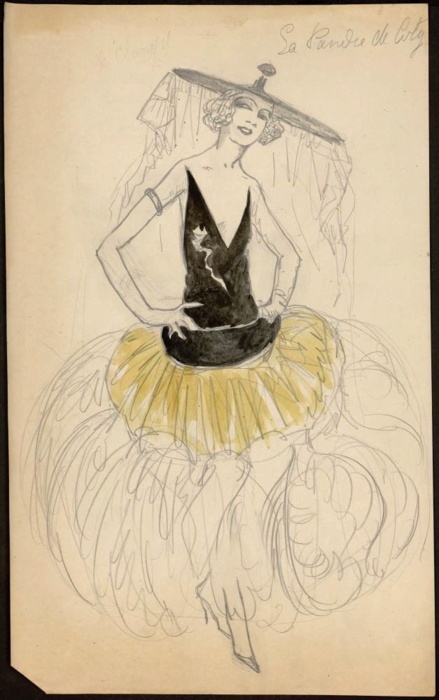 He continues to sell his drawings to major Parisian couture houses, till he is hired by Jacques Doucet, one of the capital’s most prominent couturiers. 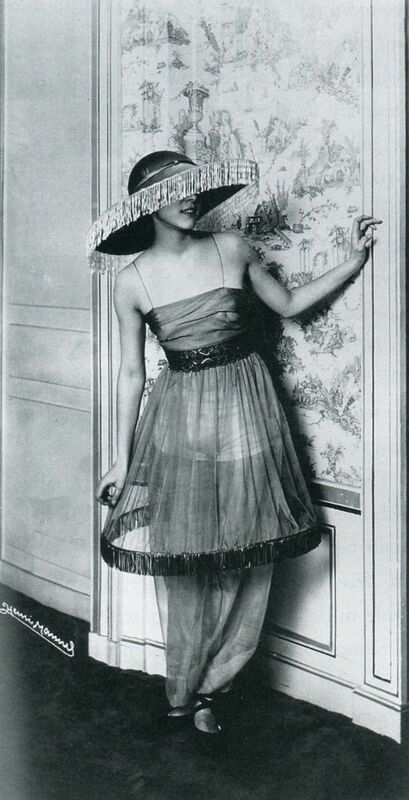 Poiret is only nineteen years old at the time. 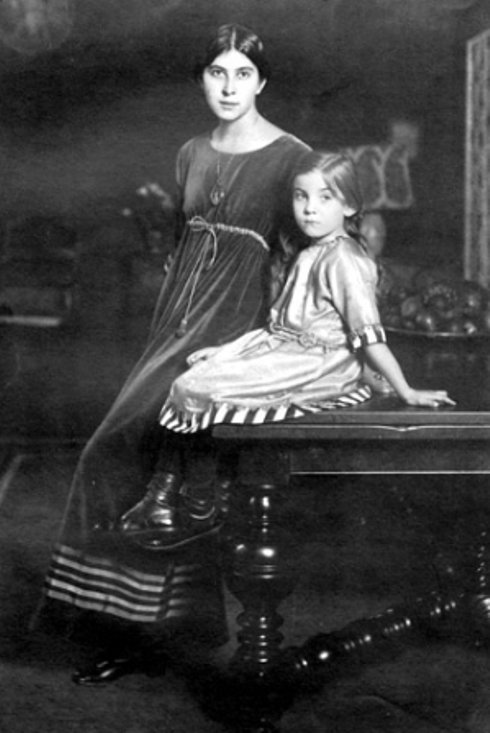 Beginning as a junior assistant, he is soon promoted to head of the tailoring department. 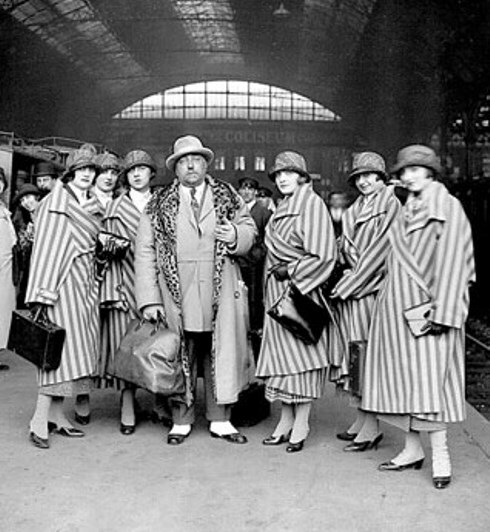 His debut design for Doucet, a red wool cloak with a reverse gray crepe-de-chine lining, receives 400 orders from customers. 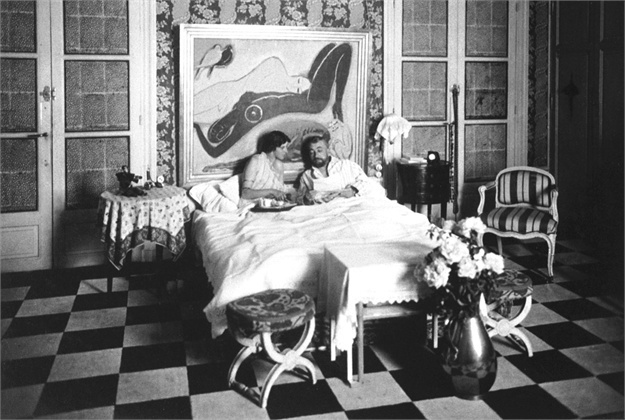 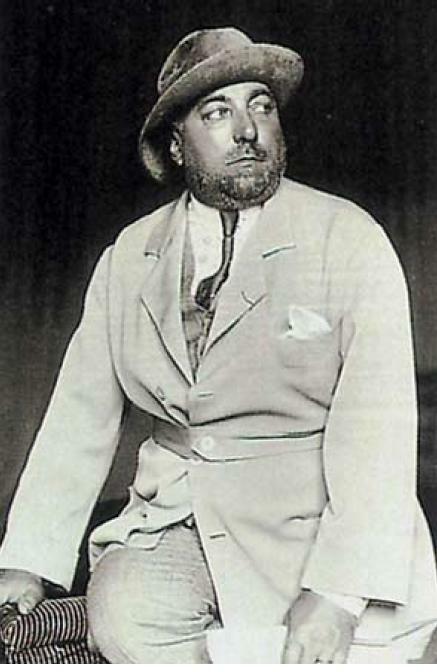 At twenty-four (Poiret has a tireless self-confidence, despite his experiences at the House of Worth) he breaks out on his own and after borrowing funds from his mother, opens his own shop on Rue Auber. 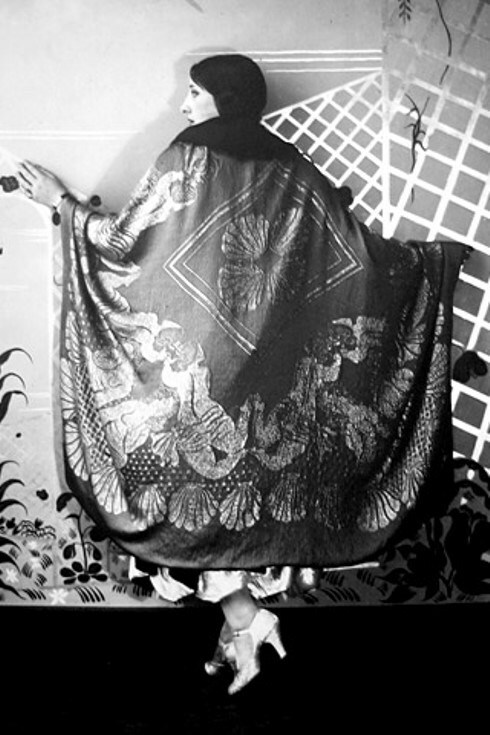 Its flashy window displays attract attention and he makes his name with the controversial kimono coat. 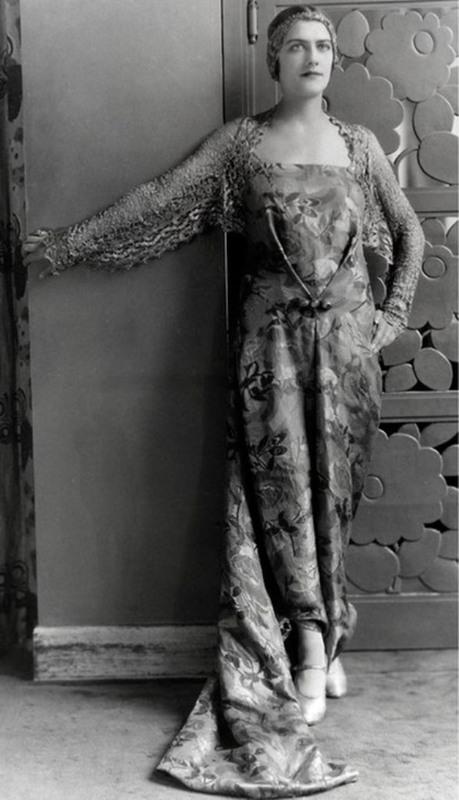 Looking to both antique and regional dress types, most notably to the Greek chiton, the Japanese kimono, and the North African and Middle Eastern caftan, Poiret advocated fashions cut along straight lines and constructed of rectangles. 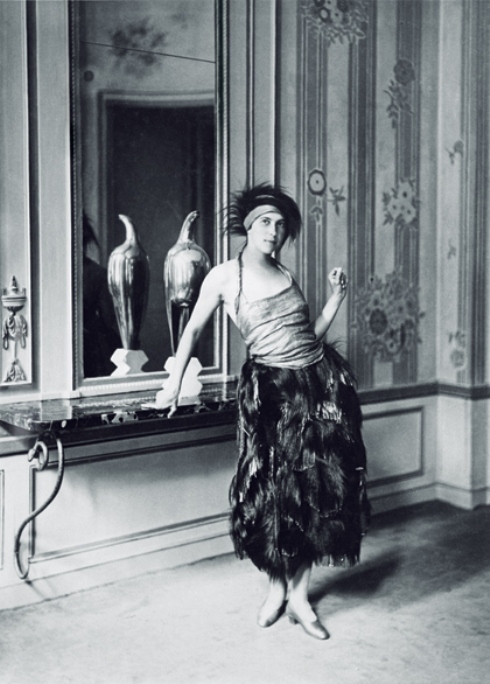 Poiret’s process of design through draping is the source of fashion’s modern forms. 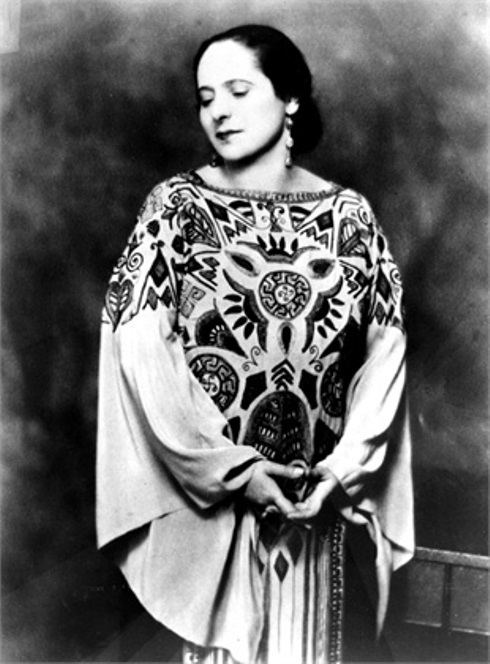 It introduced clothing that hung from the shoulders and facilitated a multiplicity of possibilities. 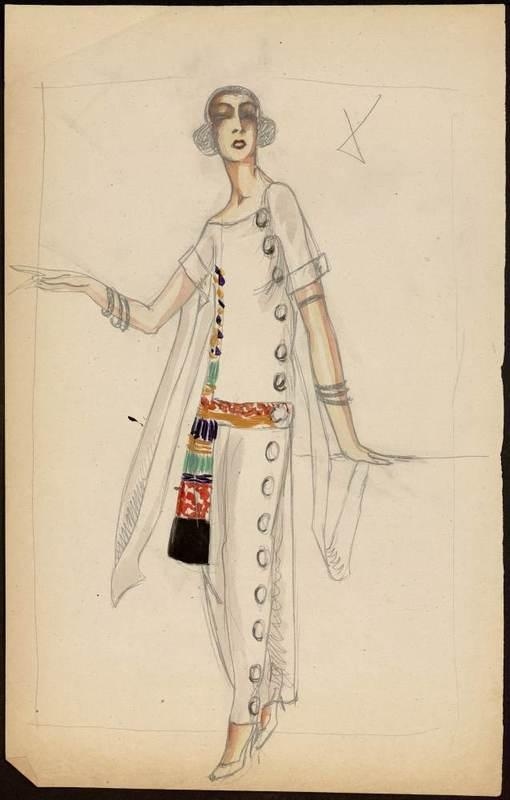 Poiret exploited its fullest potential by launching, in quick succession, a series of designs that were startling in their simplicity and originality. 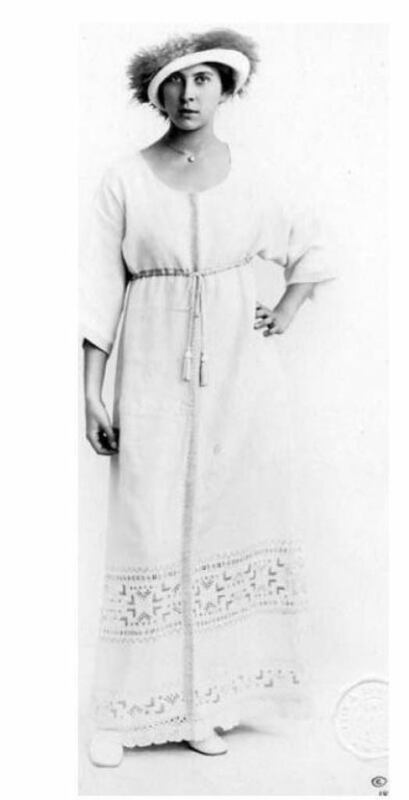 From 1906 to 1911, he presented garments that promoted a high-waisted Directoire Revival silhouette. 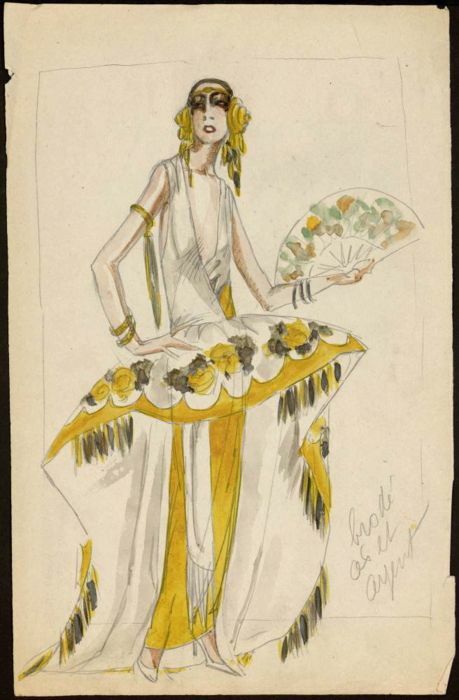 Different versions appeared in two limited-edition albums, Paul Iribe’s Les robes de Paul Poiret (1908) and Georges Lepape’s Les choses de Paul Poiret (1911). 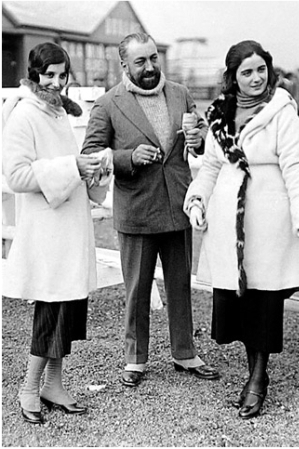 Every decade has its fortune-teller, a designer who, above all others, is able to divine and define the desires of women. 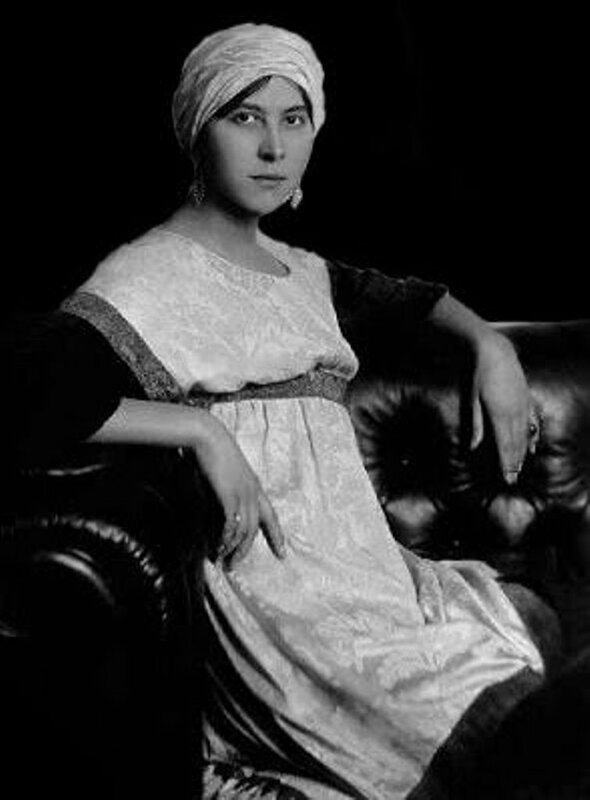 In the 1910s, this oracle of fashion was Paul Poiret, known in America as “The King of Fashion.” In Paris, he was simply Le Magnifique, after Süleyman the Magnificent, a suitable nickname for a couturier who, alongside the great influence of Sergei Diaghilev’s Ballets Russes, employed the language of orientalism to develop the romantic and theatrical possibilities of clothing. 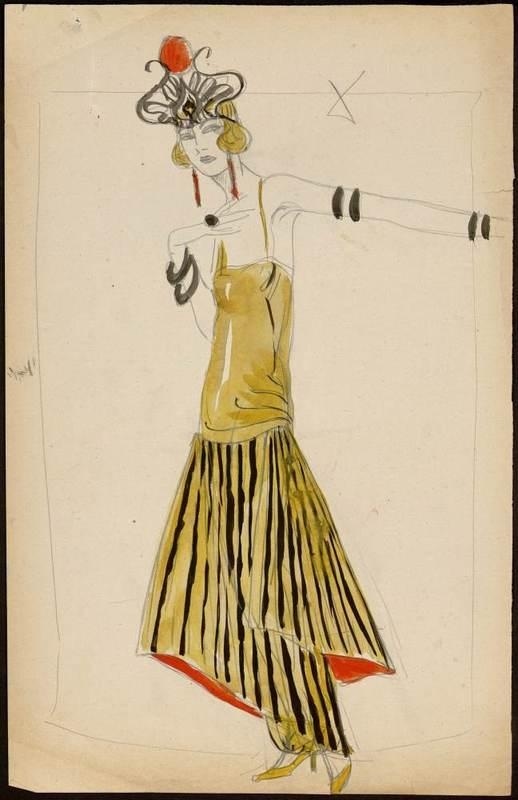 Like his artistic confrere Léon Bakst, Poiret’s exoticized tendencies were expressed through his use of vivid color coordinations and mysterious silhouettes such as his iconic “lampshade” tunic, “Kymono” coat and his “harem” trousers, or pantaloons. 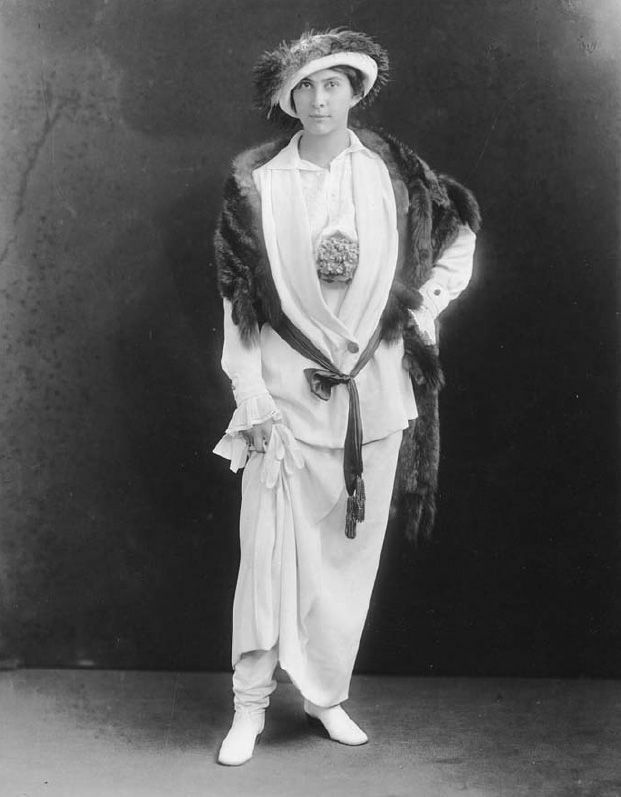 However, these orientalist fantasies (or, rather, fantasies of the Orient) have served to decline from Poiret’s more enduring innovations, namely his technical and marketing achievements. 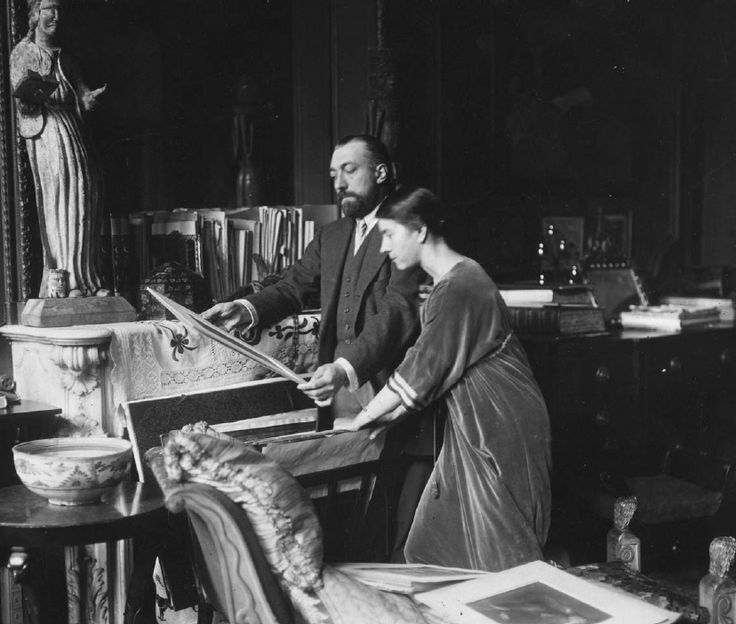 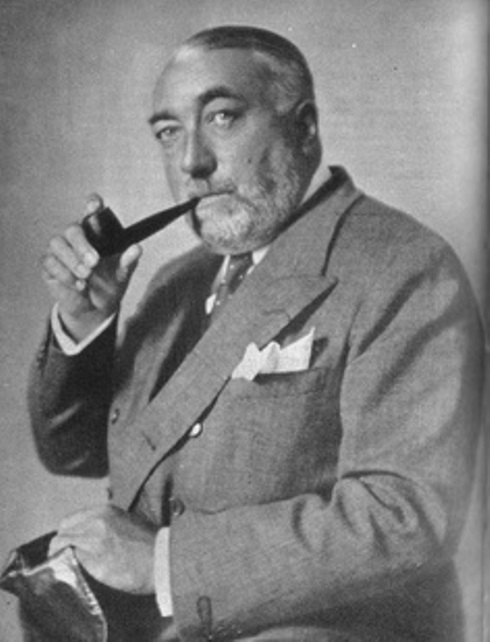 Poiret effectively established the canon of modern dress and developed the blueprint of the modern fashion industry. 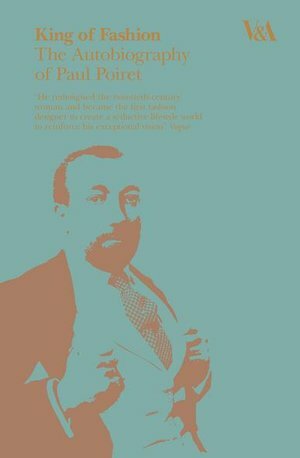 Such was his vision that Poiret not only changed the course of costume history but also steered it in the direction of modern design history..
An extraordinary story, Paul Poiret’s 1931 autobiography describes the meteoric rise of a draper’s son to become the “King of Fashion.” From his humble Parisian childhood to his debut as a couturier to his experiences during WWI, Poiret reveals all in this captivating tale. 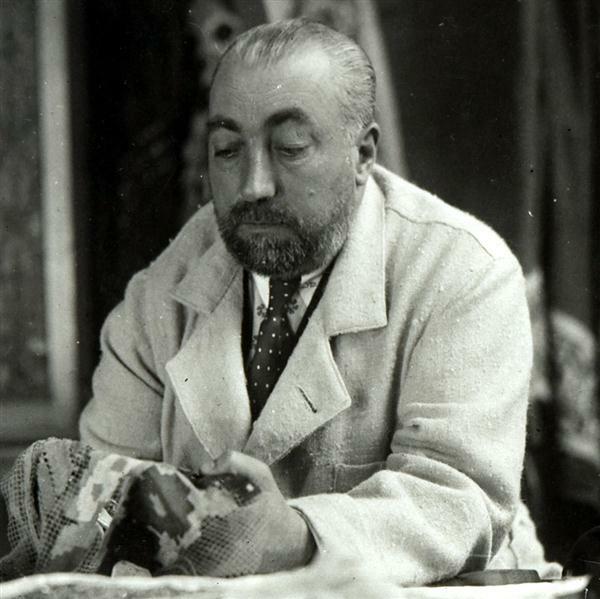 A remarkable testament to the energy of the Art Deco movement, Poiret’s memoir recounts how his artistic flair, coupled with his exceptional and highly original cutting skills, enabled him to translate the spirit of the era into revolutionary garments. 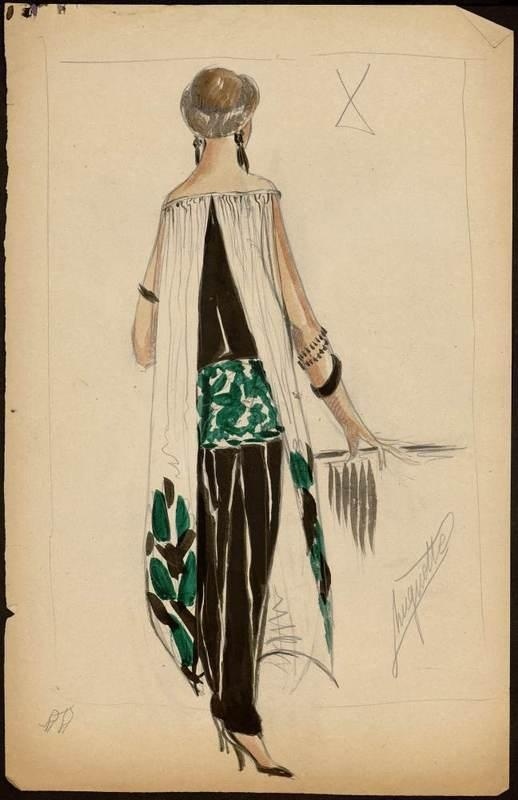 A clever businessman, Poiret describes the expansion of his fashion empire to encompass furniture, decor, and the first designer perfume, and recalls the extravagant Oriental garden parties at which his guests would parade his latest creations. 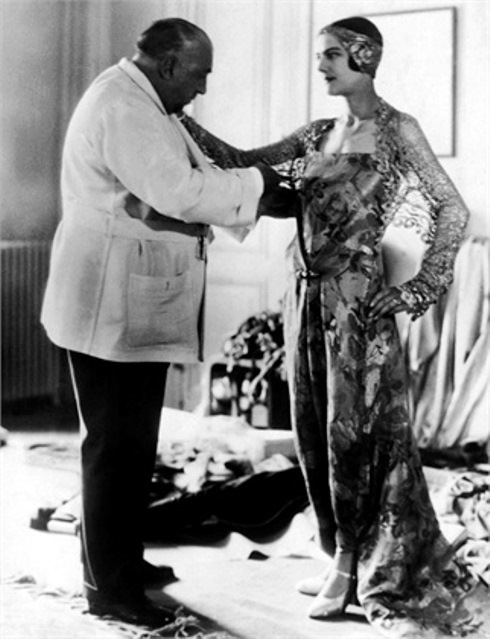 This book, out of print for decades, offers an evocative inside look at the life of a celebrated figure in fashion history.